Ultrasound is a very helpful diagnostic tool to assess soft tissues, and it complements our radiographs to help us finalize a diagnosis. 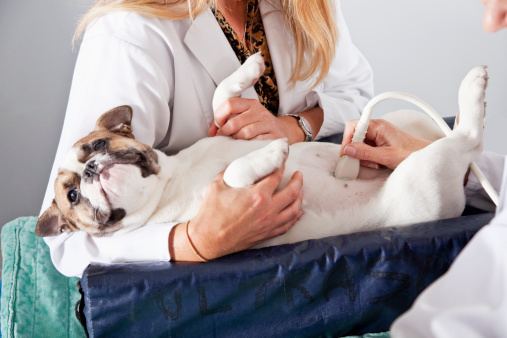 Dr. Gough is our veterinary ultrasonographer and can skillfully perform abdominal ultrasounds, assessing liver, kidneys, pancreas, spleen, and bladder. Bladder stones, pancreatitis, kidney infections and intestinal tumors, to name a few, are all diseases that are best diagnosed using an ultrasound, so we are lucky to have this hi-tech piece of equipment available to us in our practice.